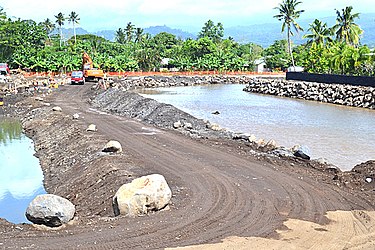 The Vaisigano revetment wall designed to serve as a barricade along the river banks is slowly taking shape. The first segment of the wall from Vaisigano Bridge to Leone Bridge is now under construction. Resident, Tauloma Taualeo’o, said the issue of river flooding during heavy rain had been a continuous problem. “I think this is one of the answers to many of our prayers especially those of us who live near the riverbanks for so long,” Tauloma said. “As you can see many families that lived by the river banks here at Vaisigano got affected especially during times of natural disasters." 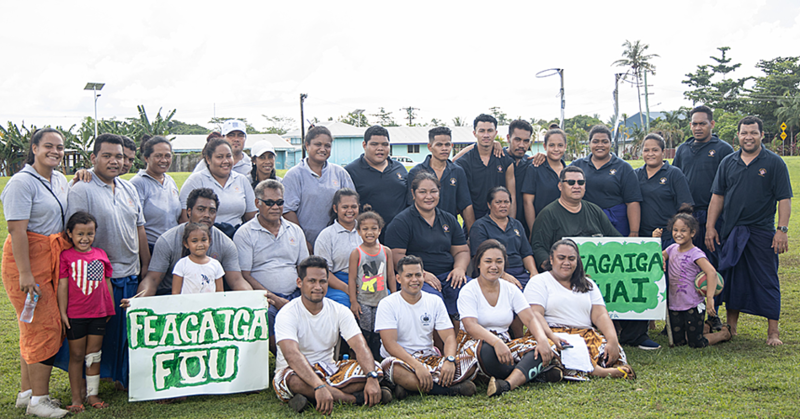 “As the saying goes ‘a ulu tafega ae selefutia ai vaisigano’ and we are the ones who carry the burden for many years now because we are living right at the end of the river and we’ve been carrying this burden for years." 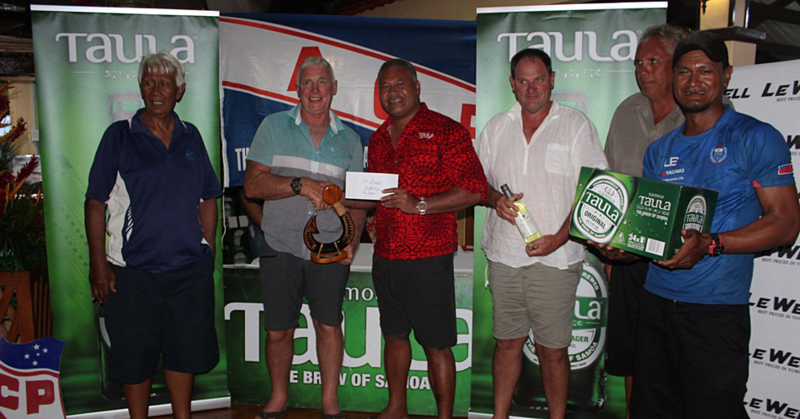 Tauloma added even though many residents were waiting so long for the revetment wall, it was ‘better late than never’. “As you can see when natural disasters struck our shores the river overflowed and flooded the whole area to this side of Apia and many of the residents near the bridge." “It’s a health hazard, because when it finished the water stays on the land and we all know what diseases come afterwards." And one of the biggest concerns during such periods, Tauloma said, was unclean water. “Honestly this is a township and what’s the point of having fancy hotels and beach fales out in the villages when the first thing tourists see in towns are rubbish lying everywhere, breeding sites for mosquitoes and unclean waters." “That’s why I always clear all the rubbish when the water goes down; because our family is one of the many families that suffer from this problem every time there is flooding." “As you can see, right beside our home is the riverbanks, and so we expect a foul smell after flooding every time." At the site, excavators are already clearing out the heavy sand sediment along the river banks and slowly taking the work upriver. According to a report, assistance from the Global Environment Facility’s Least Developed Country Fund (L.D.C.F.) is paying for the wall as part of the overall “Economy-Wide integration of Climate Change Adaptation” project. 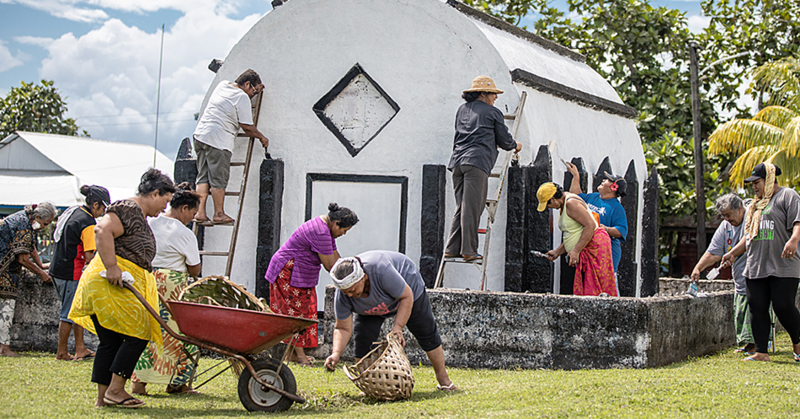 Once completed, the project serves as part of the disaster risk management to reduce climate vulnerability in Samoa.